2018 Ecosse Titanium RR. Picture credits - Ecosse. Submit more pictures. Spectacular titanium chassis brushed by hand to a subtle sheen. Fuel system: Injection. Variable fuel injection system with altitude compensation. ECOSSE mechanically driven supercharger drive. Front suspension: �hlins MotoGP-grade TTX Gas forks, fully adjustable with titanium front axle. Rear suspension: �hlins TTX Racing Shock for ECOSSE, fully adjustable for riding style and seat height. Seat height: 699 mm (27.5 inches) If adjustable, lowest setting. Alternate seat height: 775 mm (30.5 inches) If adjustable, highest setting. Comments: 25 to 29 degrees rake. Carbon fiber and kevlar fuel tank. Supercharger. Intercooler. Tuned for high-performance street riding. Engraved with sequential serial number. Ask questions Join the 18 Ecosse Titanium RR discussion group or the general Ecosse discussion group. Bikez.biz has an efficient motorcycle classifieds. Ads are free. Click here to sell a used 2018 Ecosse Titanium RR or advertise any other MC for sale. 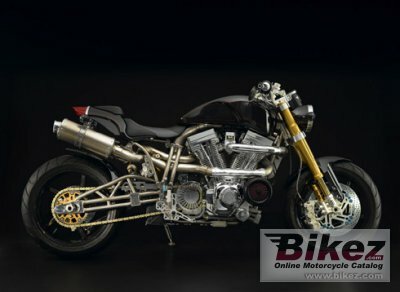 You can list all 2018 Ecosse Titanium RR available and also sign up for e-mail notification when such bikes are advertised in the future. Bikez has a high number of users looking for used bikes. Before you buy this bike, you should view the list of related motorbikes Compare technical specs. Look at photos. And check out the rating of the bike's engine performance, repair costs, etc.